ANDERSON COOPER (CNN): WATCH THE KOMPA MAGAZINE VIDEO INTERVIEW + READ OFFICIAL KM REVIEW OF 2011 COMPAS ON BROADWAY + KREYOL LA. TVICE. DJAKOUT. GABEL PARTY PICTURES! 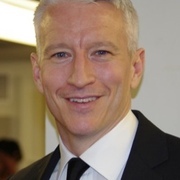 ANDERSON COOPER (CNN) WATCH THE KOMPA MAGAZINE VIDEO INTERVIEW + READ OFFICIAL KM REVIEW OF 2011 COMPAS ON BROADWAY + KREYOL LA. TVICE. DJAKOUT. GABEL PARTY PICTURES! *ANDERSON COOPER: THE KOMPA MAGAZINE VIDEO INTERVIEW (WATCH)! *THE OFFICIAL KOMPA MAGAZINE REVIEW OF COMPAS ON BROADWAY (READ)! *MIA LOPEZ TAKES SABBATICAL FROM THE HMI (READ WHY)! *GABEL MADAN GOUGOUSSE CUP PICTURES! *KREYOL LA/TVICE ROCK CAPITALE PARTY PICTURES!